While probably the majority of the indie developers out there are investing on 8-bit nostalgia to cash in the dough, you wouldn’t think it’s going to get older. 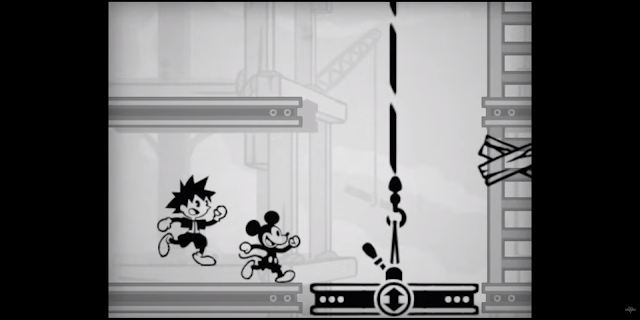 As a matter of fact, Kingdom Hearts III’s latest trailer brings in some of the good old days even without all the shenanigans of big blocks of pixels and retro music – enter the CLASSIC KINGDOM Trailer that showcases a fun treat on Game & Watch. The latest trailer for Kingdom Hearts III isn’t exactly what you’d call something to fill in the gaps of the core story, as if there’s really any. But whatever the case, the CLASSIC KINGDOM trailer lives it up with the timeless classics of Disney cartoons and straightforward 1980’s LCD games. Originally aired at KINGDOM HEARTS Union χ[Cross] Dandelion Meeting, this trailer reveals the new mini-games inspired by classic Disney cartoons and 1980’s LCD games that will be available to play in KINGDOM HEARTS III. It seems there’s really plenty. The Barnyard Battle, The Karnival Kid, Giantland, and Musical Farmer look to be whimsical time killers that can make you sing along the tunes. On that note, we still don’t have an official release for Kingdom Hearts III. Square Enix says it’s pegged for a 2018 release, but seeing Nomura’s and Square Enix’s track record, we could be far off.